Vegetarian doesn’t need to be boring nor does it mean you will leave the table hungry. With eggs, great cheese, and foods that have a great umami flavor, you can make a wonderful, tasty, and filling meal from appetizer to dessert and please even devoted carnivores. 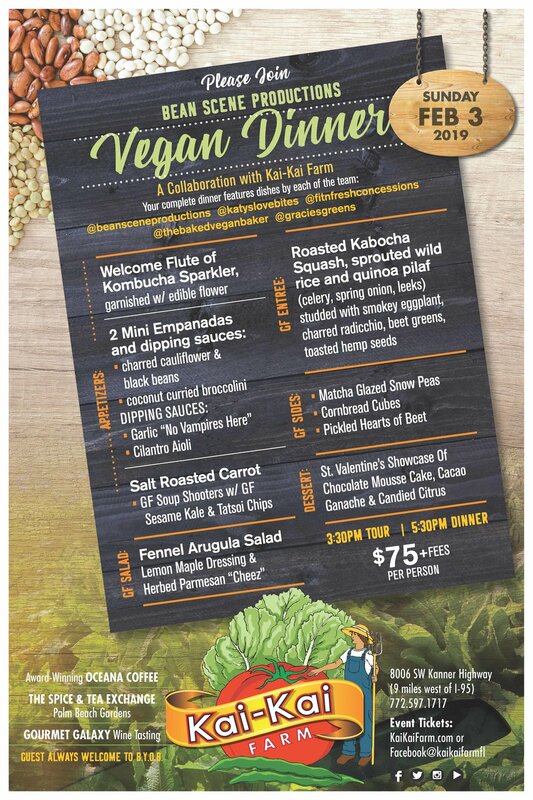 Join us for a great evening without meat. Have you shied away from making your own pasta? Don’t have a pasta roller or machine? No worries. Come learn how to make pasta the Sicilian way – no pasta roller required. We will make cavatelli and a dessert ravioli. You can wow your friends and this will open the door to the world of pasta at home. Guests will be presented with the menu and recipes at the beginning. An amuse-bouche and a glass of sparkling wine will be served. Dinner will then be prepared with instructions from Chef Kitty and served to participants. Questions answered during class. Dinner on the Grill – Grilling food is a great way to make entertaining easy and fun. It’s casual and your guests will want to get involved. With a little preparation in advance, you can cook a wonderful meal mostly on the grill. This is also a chance to have fun with colorful table linens and glassware. What could be better on a beautiful evening or Sunday afternoon? French Pastry Unmasked – Pâte sucrée? Pâte brisée? Puff? Tarts, clafoutis, galettes. What are all of these things? Learn how to make the basic French pastries in both sweet and savory versions. We will learn how to make pie crusts, tart crusts, and a few classic French pastries. And what all those French words mean! The fun begins with a guided tour of the farm at 3:30pm. Then Candi McCoy of the Healing House and Max Suess of Drumming for Peace will be offering a sound meditation journey from 4:30 till just after 5 when the dinner will begin followed by a lively drum circle around the fire and under the stars. Getting Saucy – Do pan sauces or gravies cause you to dread a recipe or to skip it entirely? Love eggs benedict but worry about the hollandaise? How about a great sauce for a pork tenderloin? A plain chocolate pudding can really be elevated with a silky vanilla sauce. You will learn the basics for good pan sauces, a sweet sauce for desserts, and mastering vinaigrettes. 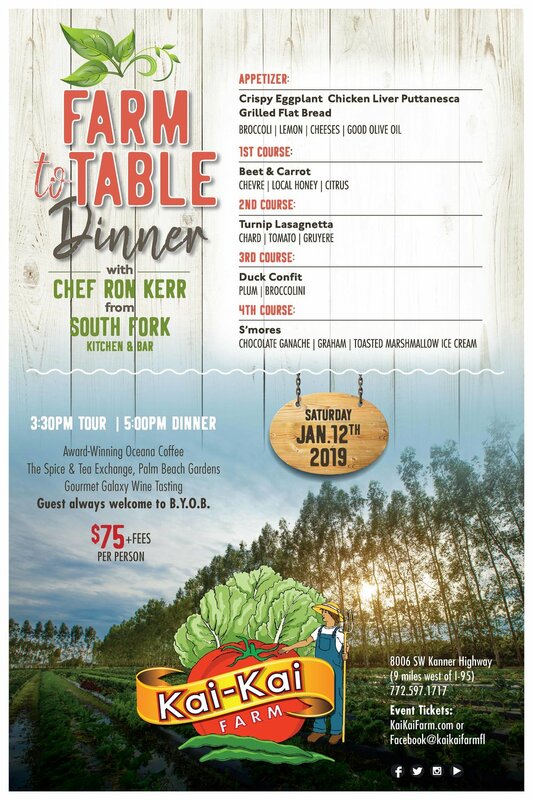 Kai-Kai Farm welcomes Clay Conley, James Beard Award Nominee and Chef/Owner of Buccan, for an out of this world gourmet feast. 5 plated courses and wine tasting. Come early for a guided stroll of our beautiful piece of paradise Earth. If you are interested in booking a wedding or private event at Kai-Kai Farm please fill out the form below and we will follow up with you soon. First Course: Fusion salad of fresh grilled yellow beans, bok choy, kale, caramelized leeks, fresh mixed greens, watermelon, sweet pistachios, whiskey black cherry dressing. Second Course: Smoked Gouda cheese in creamy polenta, poached white wine sea bass, lobster stuffed with toasted croissant, seared mandarin oranges and topped with kale, garlic and micro greens. Main Course: Aged filet mignon seared and topped with blueberries and smoked Gouda cheese, crumbled pistachio nuts, sautéed sweet spinach, watercress and Peruvian potato mousse. Finishing Touch: Florentines with Smoked Whiskey Peach Gelato. There will be live entertainment, belly dancing, wine tasting and an authentic Arabian four course meal plus dessert! This Farm Is Truly Magical. We Love The Produce But The Dinners Are Not Like Anything Else You’ve Ever Experienced In South Florida. We eat not only with our taste buds and noses but also with our eyes. Do you want your food to look as good as it tastes and smells? Simple touches and a little care can make all the difference. Learn how to plate individually or on platters. Your buffet presentation should be as beautiful as your plated meals. Come learn how to present your food beautifully and earn all those “wows” at the table. CHEF ADAM RETURNS WITH HIS TEAM FROM THE COOPER IN PALM BEACH GARDENS. WINES PAIRED AND POURED BY GOURMET GALAXY.